For a lot of reasons, the small desk shoved in the corner of the dining room is no longer acceptable as a home office. The number of people working from home in the cyber age has mushroomed. More home businesses and cottage industries are popping up with the improvement of the economy. Also, there’s an increase of businesses hiring “virtual” employees who work from home instead of in “brick & mortar” locations. These are all indicators that a comfortable, well-placed office in your York County home can be a great selling point. The location of your office is important, especially if you’re spending lots of time there. You’ll want privacy, but you may not want to be entirely cut off from the other activity in the home. If there are children to monitor, you want to be able to check on them, but still close the door when you need to make or take important phone calls. Give yourself plenty of space, with room for an extra chair or two, especially if you’ll be receiving clients. If an area with a nice-size window is available, you can avoid the feeling of being stuck in a corporate office cubicle. As with the rest of the house, the flooring in your office should be good quality. Installing a decent floor can yield up to 80 percent return on your investment. When choosing wall colors, be sure it’s one you can live with. It’s no longer necessary to use office beige. In fact, experts recommend shades of blue because it creates a soothing atmosphere, and enhances concentration ability. Lighter shades are recommended to keep the mood light. Whichever color you choose, it shouldn’t clash with the colors in the other areas of the home. Standard to most offices these days, are computers and their various accoutrements. Try to plan in such a way that the various cables involved in all this technology can be kept out of sight as much as possible. There are various implements on the market to bring cords together, lift them up and behind the furniture, and even camouflage them with fabric covers. Everything doesn’t have to be at desk level. An office should have plenty of storage area, whether it be in the form of file cabinets, vertical shelving, or cubicles strategically placed for stacking the various kinds of paperwork that go with a home business. Online there are clever ways illustrated to divide and conquer the clips, rubberbands, staples, pens and pencils required in an office. The last thing you want to be doing is racing around the house searching for a pen to jot down an address or phone number of a client. 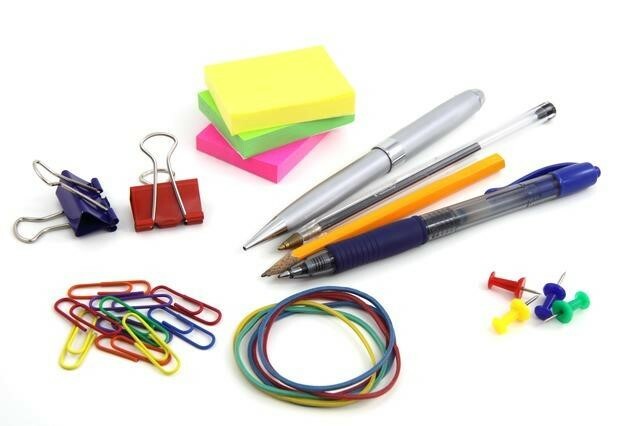 Be sure to stock your office with all those aforementioned supplies. This can be a real plus if you’re showing your home. Potential buyers can envision their own supplies placed there. 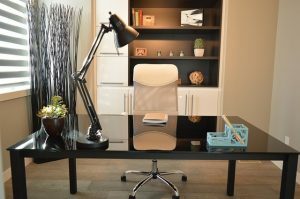 One real boost to productivity in a home office can be a good quality chair, just as an uncomfortable chair can hinder it. Not all “ergonomics” are equal. Before buying a chair, actually sit in it for a while. Get up and down several times to see that it isn’t difficult to get into or out of. 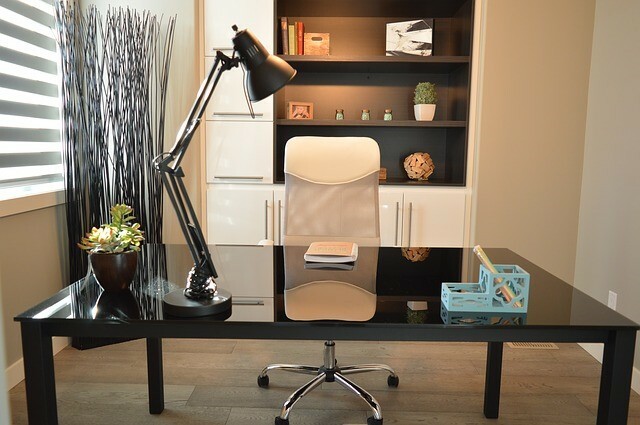 There are lots of reasons to consider having a nice office in your home. Let us know if you’re interested in listing or buying a home in the York County area, and we’ll be ready to help. The Jim Powers Team of local Realtors® is here for you from start to end. Visit our website to learn more, then contact us or give us a call at 717- 417- 4111.